AT&T’s Unlimited Plus and Unlimited Choice plans — introduced in February — give new and existing subscribers uncapped data options. The Unlimited Plus plan includes unlimited data, talk, and text, up to 10 GB of high-speed mobile hot spot data, for $115 a month. The Unlimited Choice plan is $60 a month for unlimited talk, text, and data for up to 3Mbps. A few months later, Verizon rolled out a new plan for prepaid customers that charged $80 a month for unlimited data — including talk and text across the United States, among other perks. The small print mentioned it “may prioritize your data behind other customers during times/places of network congestion,” meaning customers’ smartphones might slow down at any given moment. 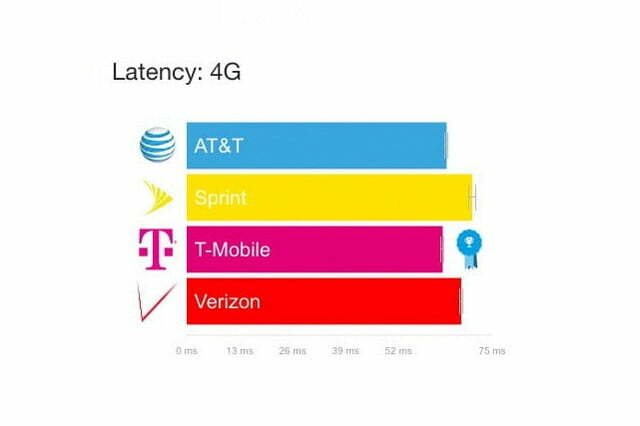 According to OpenSignal, the decrease in network speed is most likely caused by the exact congestion Verizon is referring to. Since cellular networks are shared, your connection speed is dictated by the total amount of demand for data at a specific cell site. If there is a higher demand — whether that’s due to an increase in customers or data usage from already existing customers — the average connection speed for all customers begins to drop. 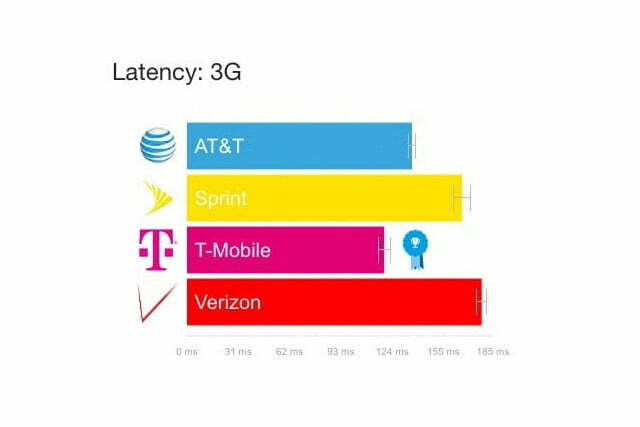 T-Mobile and Sprint’s unlimited plans didn’t cause any detrimental effect, but instead saw an increase in both carriers’ LTE speeds. 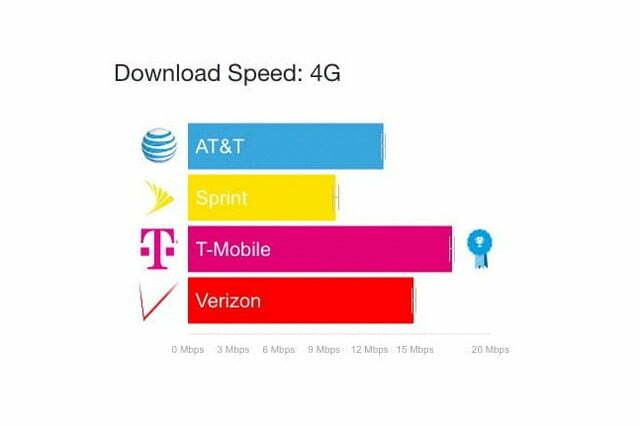 T-Mobile took first place for both 3G and 4G download speed while Sprint’s 4G availability came in at 81.6 percent — up from 76.8 percent six months prior. The carrier saw the biggest improvement when it came to this particular metric, and is now less than two percent away from catching up to AT&T. 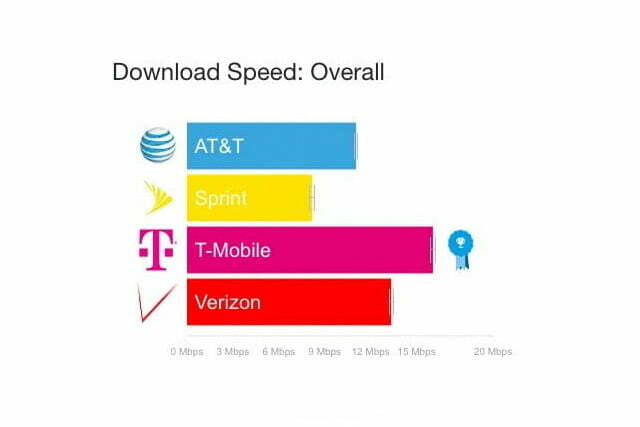 Currently, both Sprint and T-Mobile benefit from being smaller in size when compared to AT&T and Verizon. This means the larger carriers have twice as many devices competing for capacity that is limited — ultimately causing congestion and slower speeds. Although T-Mobile being ahead in terms of nationwide metrics, it is still going head to head with Verizon for overall dominance. 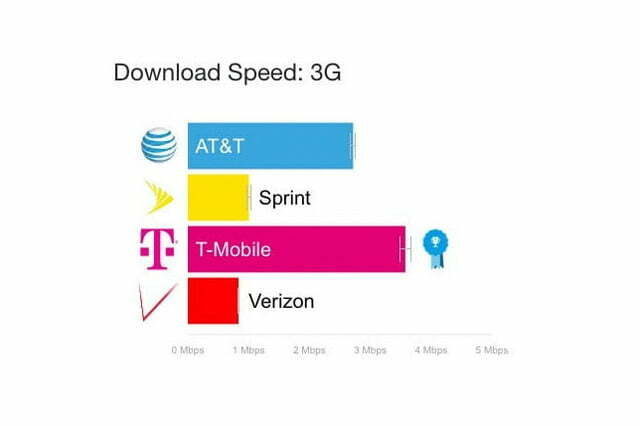 For the OpenSignal’s 4G speed award, Verizon won in six markets and T-Mobile won in four markets. 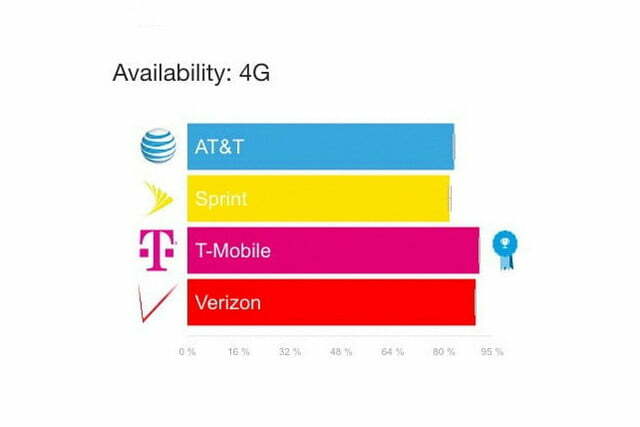 As for 4G availability, Verizon pulled ahead with a win in 14 markets, but T-Mobile is strong in a number of markets.